Retired Tech. Sgt. Jeffrey Bray, a combat controller, who was awarded the Silver Star for his actions during the Battle of Mogadishu in 1993, was laid to rest at Arlington National Cemetery, Va., Dec. 30, 2016. Bray passed away at 49 years old on Oct. 24, leaving behind a far-reaching legacy of valor, professionalism and combat success. A former special tactics combat controller responsible for saving dozens of lives at the Battle of Mogadishu in Somalia in 1993, was laid to rest recently, leaving behind a far-reaching legacy of valor, professionalism and combat success. Nearly 100 friends, family and teammates gathered to honor retired Tech. Sgt. Jeffrey Bray, a Silver Star recipient, at Arlington National Cemetery, Va., Dec. 30, who passed away Oct. 24 at 49 years old. 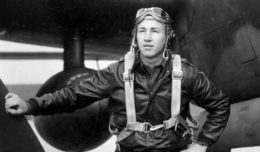 Bray’s contributions to the Air Force, and to special operations, was nested in an experience that would define how special tactics operated in urban warfare. On Oct. 3, 1993, Bray was attached to a joint service team responding to the crash of a U.S. Army MH-60 Black Hawk helicopter, which was shot down in Mogadishu. Under fire, trapped and surrounded inside a building in the city, Bray coordinated helicopter gunship fire on targets all around his position throughout the night. Without previous experience in this environment, he developed tactics and techniques on the spot that allowed him to mark friendly forces’ locations so that helicopter gunships could destroy close enemy concentrations. Bray wasn’t the only Airman there; the joint search and rescue team also included pararescuemen Master Sgt. Scott Fales and Tech. Sgt. 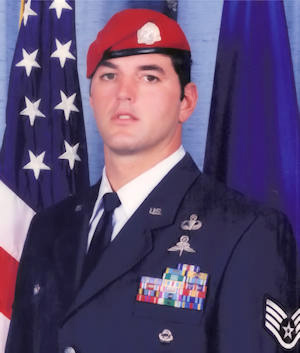 Tim Wilkinson, who earned a Silver Star and Air Force Cross respectively, for their actions during the mission. Wilkinson and Fales –part of the 15-person joint team—were responding to the downed helicopter, while Bray and the U.S. Army special operations team were to capture Mohammed Farah Aideed’s top lieutenants. When the mission deviated due to overwhelming forces, it became a matter of survival. Wilkinson and Fales worked on the wounded as Bray coordinated airstrikes and strafing runs to keep the enemy at bay. A 1994 Airman magazine interview revealed a clearer understanding of the tactics Bray innovatively developed to ensure friendly fire was avoided and protect his teammates. Bray would send runners out to mark locations with infrared strobe lights that only orbiting U.S. aircraft could see. The runners found targets and relayed the information to Bray; he would plot each location and call in the fire. He then plotted the locations out beyond the targets and corrected the airstrike fire by walking it in to enemy positions. At times, he coordinated fire on enemy locations only 15 meters away. His expertise in controlling air-to-ground fire prevented friendly fire casualties and were integral to the survival of the Army special operations team, according to the citation. However, to many, Bray’s legacy is beyond his Silver Star; according to his teammates, he was one of the few special tactics Airmen who had directed airpower during intense urban warfare—a precursor to what many would experience in Operations Enduring Freedom and Iraqi Freedom. This experience in urban warfare translated into a level of training unlike most could provide. Bray was later a training and cadre member for his special tactics unit. Here, his vigor and experience on the battlefield translated to a dynamic change in the way his team conducted urban warfare preparation, according to one of Bray’s former students. 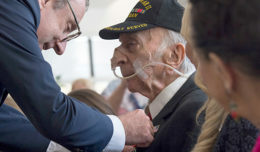 “In Mogadishu, Jeff saved dozen of lives: men who were able to come home and either return to their families or someday start a family of their own,” said retired Col. Kurt Buller, a former special tactics officer. “As an instructor, he was exceedingly demanding of our technical skills … his training kept us alive in combat, I’m sure of it. While Bray’s legacy and name have been solidified in history, he leaves behind a family, a wife and teammates who served alongside side him throughout his career.